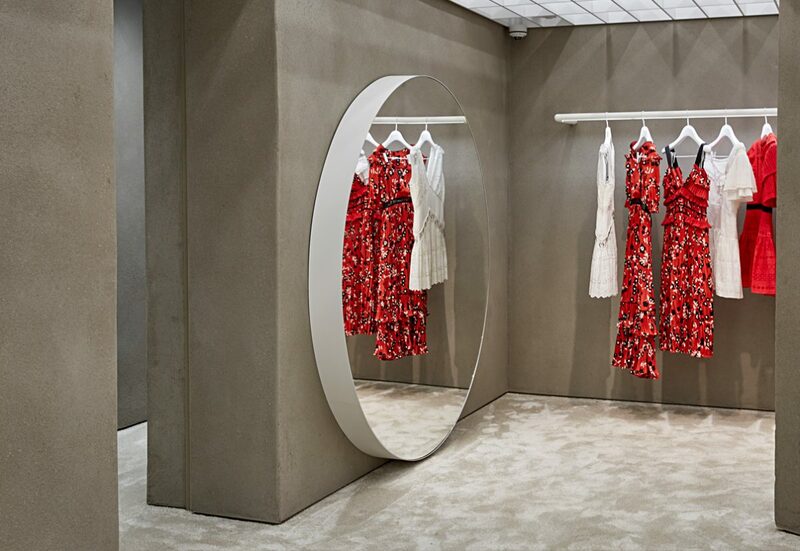 Self Portrait has made a grand statement with the opening of their flagship store in Mayfair, London. The 2-story space, designed by Casper, Mueller, Kneer, features vast expanses of seamless, custom texture and raw beauty: a perfect stone like canvas against which the fashion brand displays its exquisite range of feminine dresses and separate pieces that are made using luxury fabrics of high quality. 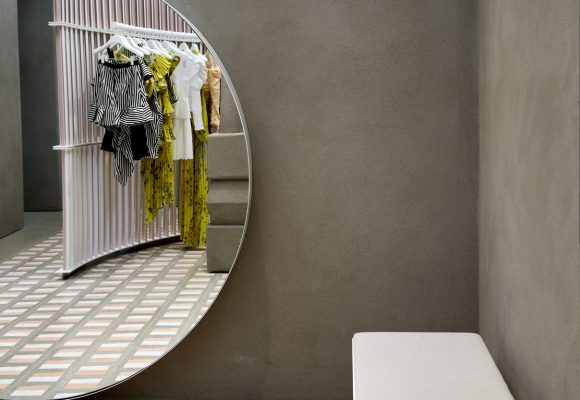 The design takes its inspiration from the brand’s focus on surface detail and tactility says Self Portrait. In order to achieve the level of detail, accuracy and ingenuity desired, every single element of the store was custom made. The extraordinary space has been likened to a museum and a gallery and is an expertly curated mix of contemporary, luxury design and traditional, simple and sustainable materials: materials with breathable and acoustic moderating qualities that provide a space to relax, breathe and take in the beauty and eloquence of the architecture and the clothes. Clayworks Clay Plaster Rustic Finish in Stone has been used to create the surface finishes in this ‘museumesque’ store that is one of those defining a new category of experiential high street shopping.